The battle for Wakanda begins in Marvel's Black Panther. Decide who will be the next king with a little help from Funko. 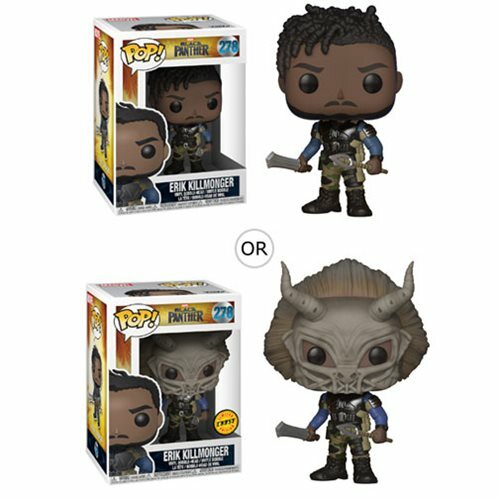 This Black Panther Erik Killmonger Pop! Vinyl Figure #278 measures approximately 3 3/4-inches tall and comes packaged in a window display box. Ages 3 and up.